We, Greater Brighton Metropolitan College (the College), collect personal information about yourself in order for you to process your course application. • Administrative services, such as course registration and arranging interviews. • The provision of student support services and other student guidance. When we do collect your personal data, we are regulated under the General Data Protection Regulation (GDPR) which applies across the European Union (including in the United Kingdom) and we are responsible as ‘controller’ of that personal information for the purposes of those laws. • Identity and Contact Data: personal information (such as name, date of birth, next of kin details, unique learner number, national insurance number, home address, email address and telephone number). • Characteristics Data: gender, ethnicity, nationality, country of birth, country of domicile). • Disabilities Data: Disclosed and assessed learning difficulities / disabilities. • Historical Data: Prior attainment levels and the details of previous educational institutions attended. • Employment Data: Current employment status details. • Criminal Data: Criminal convictions and offences. • Study Data: Study programme details. • Where we need to in order to protect your health and well-being or the health and well-being of someone else – for example, other students. • Where we rely on your consent – for example, where you agree we can send you information about our other courses. We call the above grounds Fundamental Grounds in the rest of this section. • Where we need to assess your capacity to study. • Where we need to collect these types of information for statisitical purposes. • Where we need to in order to protect your health and well-being or the health and well-being of someone else – for example, other students – and you cannot give your consent, or we cannot be expected to obtain your consent, or where you have unreasonably withdrawn your consent. • Where we need to collect and use information about your race or ethnicity to identify or keeping under review the existence or absence of equality of opportunity or treatment between persons of different racial or ethnic origins, with a view to enabling such equality to be promoted or maintained, and, where we do so. we will put in place appropriate safeguards for your rights and freedoms. When we process Criminal Data, we will process this data for one or more of the Fundamental Grounds and because we are authorised to do so under the laws of the United Kingdom or because we are doing it under the control of an official authority. 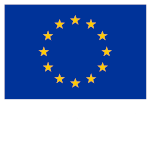 For European Union (EU) funded projects, we are required to keep records until 31st December 2025. If you have a concern about the way we are collecting or using your personal data, we request that you raise your concern with us in the first instance. Alternatively, you can contact the Information Commissioner’s Office at https://ico.org.uk/concerns/ or telephone: 0303 123 1113.